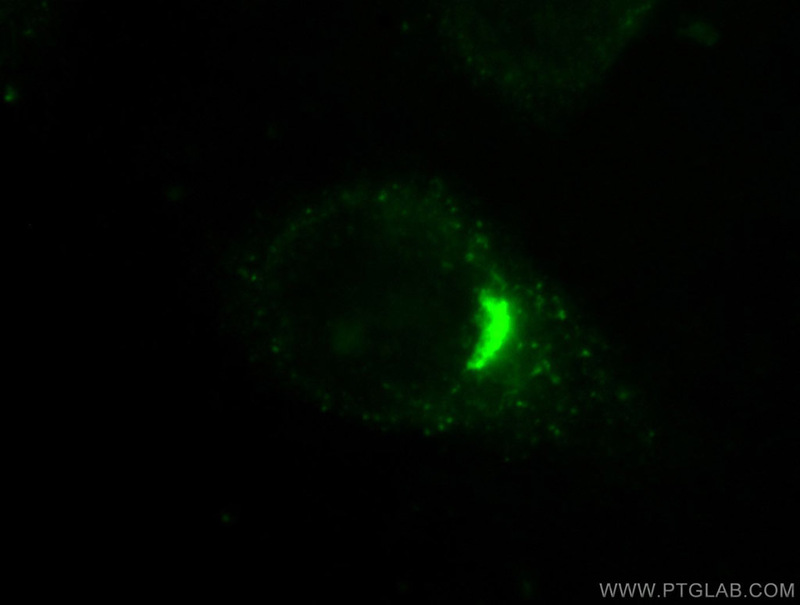 IP Result of anti-GORASP2 (IP:10598-1-AP, 3ug; Detection:10598-1-AP 1:700) with HeLa cells lysate 1320ug. 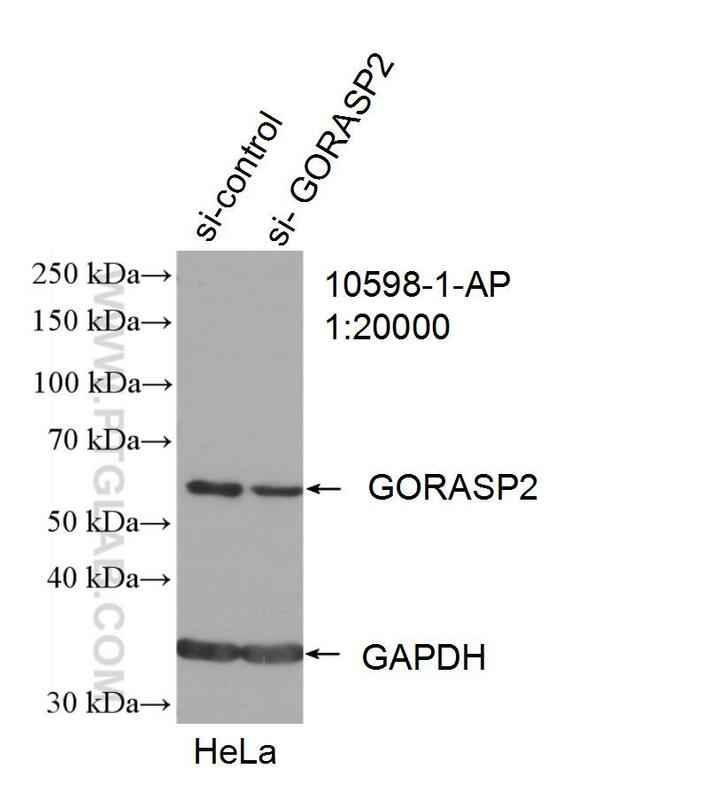 GORASP2 (Golgi reassembly-stacking protein 2, or GRS2) has multiple phosphorylation sites and can be phosphorylated by MKK/ERK pathway during mitoisis. 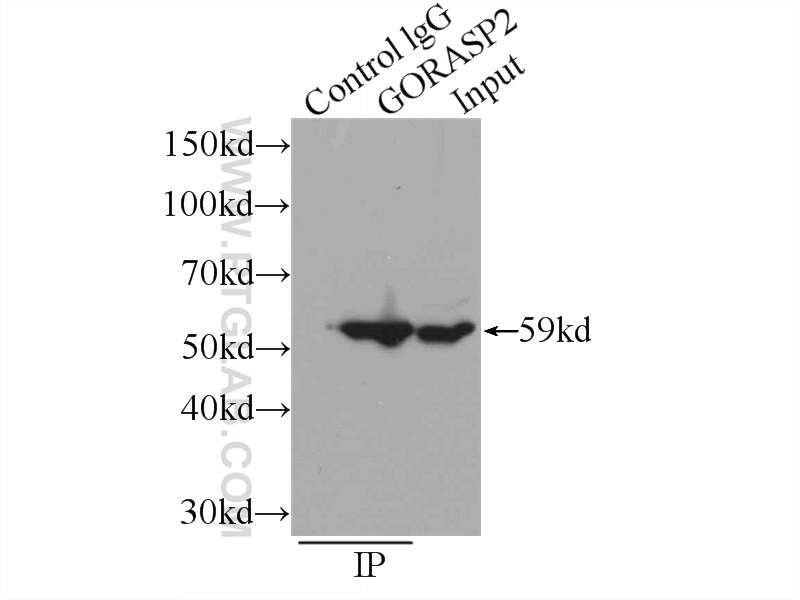 GORASP2 plays a role in the assembly and membrane stacking of the Golgi cisternae, and in the process by which Golgi stacks reform after mitotic breakdown.GORASP2 is supposed to regulate the intracellular transport and presentation of a defined set of transmembrane proteins, such as transmembrane TGFA. 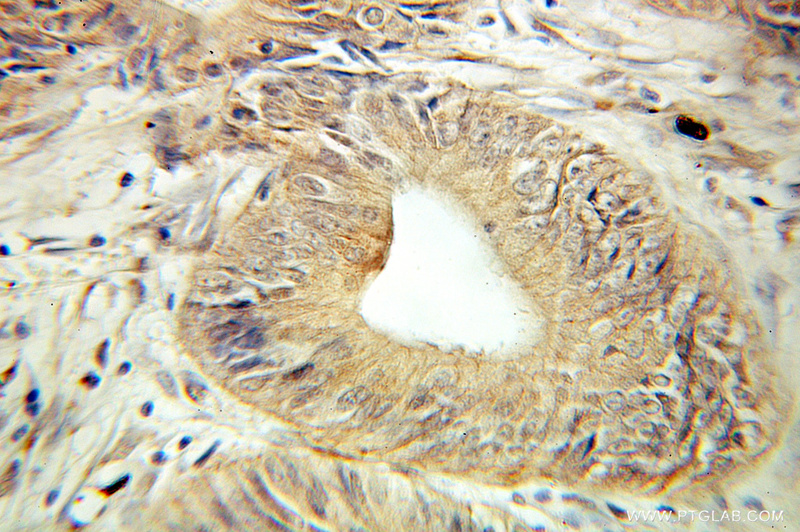 GRASP55 and GRASP65 play complementary and essential roles in Golgi cisternal stacking. An Unconventional Secretory Pathway Mediates the Cilia Targeting of Peripherin/rds. Membrane adhesion dictates Golgi stacking and cisternal morphology. A two-tier Golgi-based control of organelle size underpins the functional plasticity of endothelial cells. 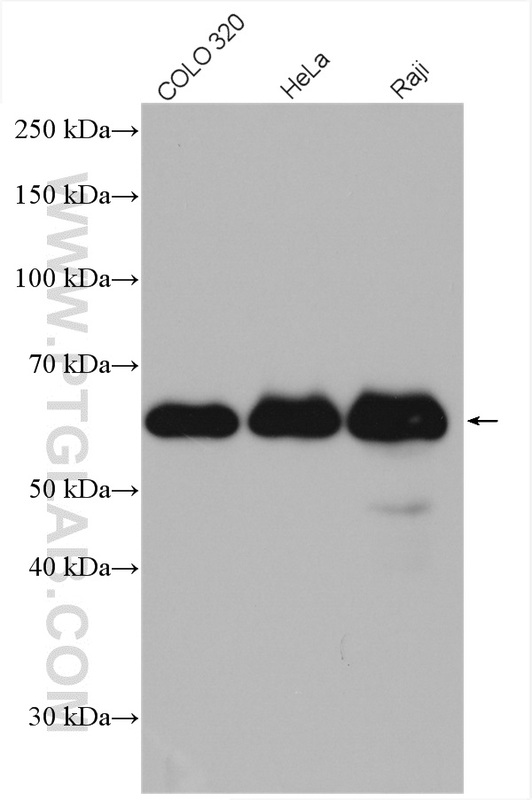 The Golgi-Ribbon Structure Facilitates Anterograde Transport of Large Cargoes. Regulation of protein glycosylation and sorting by the Golgi matrix proteins GRASP55/65. 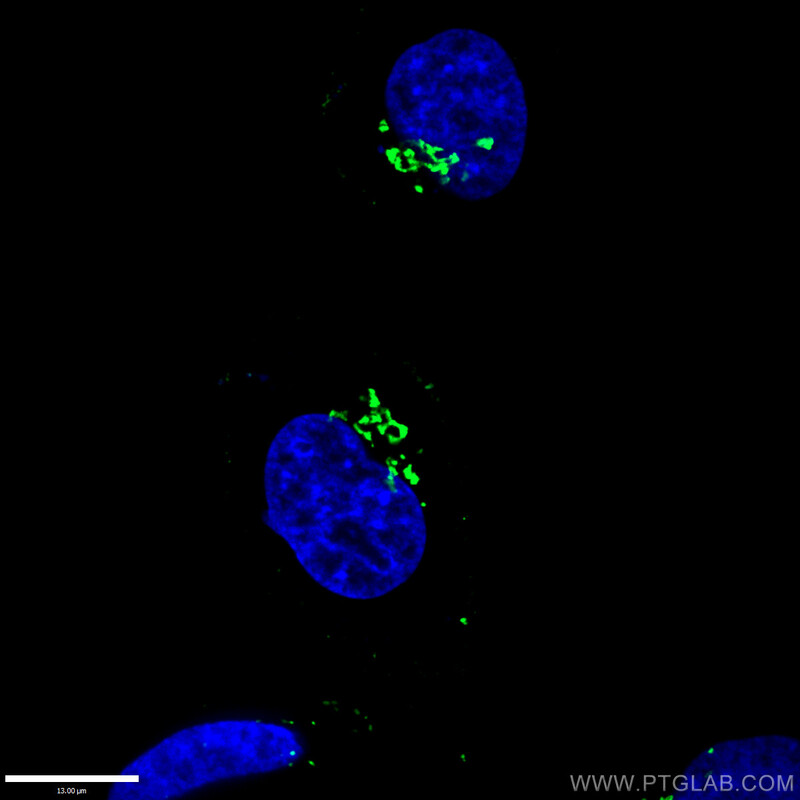 Immunofluorescent analysis of HepG2 cells, using GORASP2 antibody 10598-1-AP at 1:50 dilution and FITC-labeled donkey anti-rabbit IgG(green).